Charles will discuss the development of HTML5 (and other web standards). He will talk about how the standards are developed, and what new possibilities they offer to web developers, and application developers in general. He will also look at how the Open Web Stack based around HTML can be used to improve users' experience of applications by making them accessible to all kinds of people with multiple devices and platforms connecting to the Internet. Harald Welte is a Free Software developer involved with many projects from the Linux Kernel to Openmoko as well as various GSM and RFID related projects. In 2004 he has started the gpl-violations.org project which has enforced more than 150 cases of GPL license infringements till today. 關於歷屆與今年研討會網站的網址請參考 http://coscup.org/2010。更多 blog, 照片與會眾迴響，請於各大搜尋引擎查找 COSCUP. COSCUP (Conference for Open Source Coders, Users and Promoters) is an annual conference where coders, users and promoters of open source software from all around the world gather to share their experiences and knowledge with each other. 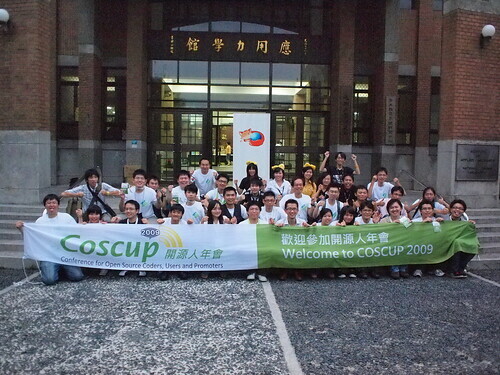 COSCUP has enjoyed phenomenal growth in the years since its creation in 2006, now it's the largest open source conference in Taiwan. 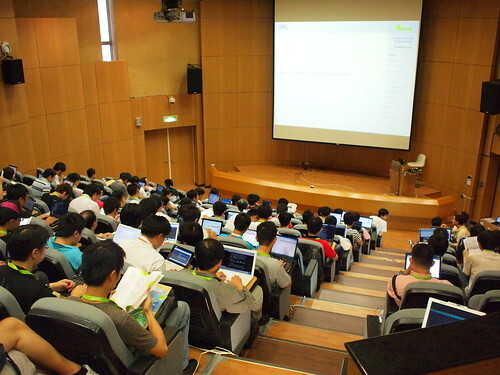 The conference is organized major open source communities in Taiwan, Our aim is for everyone to collaborate thus bringing more creative ideas to the table. COSCUP has sessions for newbie users, enthusiastic promoters, beginning coders or anyone who is interested in the cutting-edge open source technologies. The goal is to create a friendly and informative environment for people in different communities to make friends, learn new technologies and inspire each other in the conference. COSCUP 2010's website and historical can be located at http://coscup.org/2010. 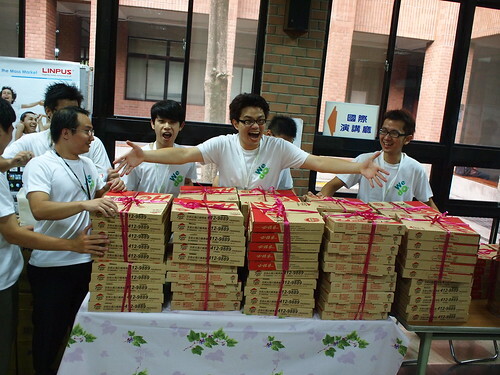 Blog, photos and feedbacks from participants can be found on the web by searching "COSCUP" in all major search engines.